DSM, a global leader in biomedical materials science and regenerative medicine, has announced that the Company’s Greenville, North Carolina facility is fully operational, running and qualified. Furthermore, DSM is expanding its Dyneema Purity fibre portfolio and is commercially launching the thinnest, high-strength, medical-grade UHMWPE fibre available on the market, Dyneema Purity 10 dtex fibre. The fibre will be available in both white and blue. Next to 10 dtex fibres, the Dyneema Purity fibre production line will produce various grades for cardiovascular applications, including Dyneema Purity TG 25 dtex fibre, which offers the same strength as existing grades at thinner diameters, and the Dyneema Purity SGX fibres. Dyneema Purity UG fibers will also be produced in Greenville, developed specifically to allow the development of strong, stable orthopedic implants that provide consistent performance. Starting this month, DSM commercialized its Dyneema Purity 10 dtex fibre and launched production exclusively at the Greenville, NC facility. The fiber is four times stronger than polyester and thinner than any other UHMWPE medical fiber on the market. 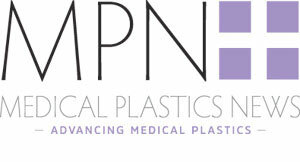 The high quality manufacturing processes for the fiber benefit from the facility’s unique specialization in medical-grade manufacturing. In 2012, the global minimally invasive surgery market was valued at approximately $25 billion and is expected to grow at a CAGR of 10.5% during the forecast period 2013 to 2019 to reach a market value of over $50 billion by 2019. Minimally invasive surgical procedures typically result in less discomfort and faster recovery times for patients. As such, medical device makers seek materials that enable the production and design of devices with tinier profiles. Dyneema Purity 10 dtex fibre’s fine denier promotes the design of smaller devices without compromising strength and durability.